1. Describe efficient and inefficient pencil grips. 2. 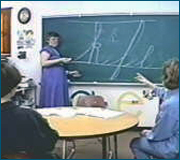 Describe the difference between a kinesthetic approach and a visual-motor approach to handwriting. 3. 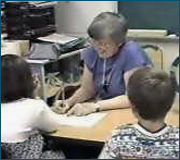 Describe the basic concept of teaching the Clock Climber group of letters as a foundation for cursive writing. 4. 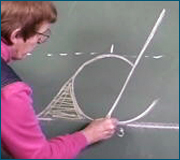 Describe the concept of kinesthesia as a basis for teaching handwriting. 5. Describe the reasoning behind "over-teaching" the first letter in each group. 6. 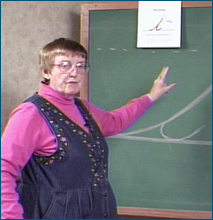 Describe the kinesthetic motor pattern required to learn the basic groups of letters.